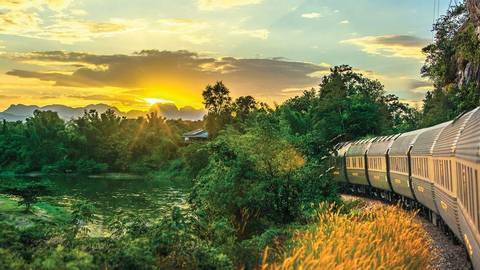 Discover Asia’s most evocative destinations during hotel stays and tours of Singapore and Bangkok, an unforgettable train journey on board the Eastern and Oriental Express and an extensive tour of Cambodia and Vietnam. 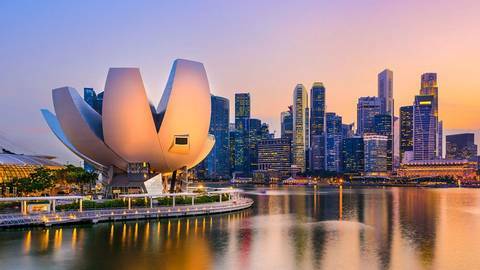 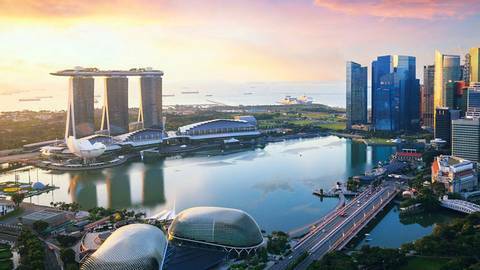 Explore Singapore during a two night luxury hotel stay before embarking the Eastern and Oriental Express for one of the most luxury exotic train journeys in the world to Bangkok. 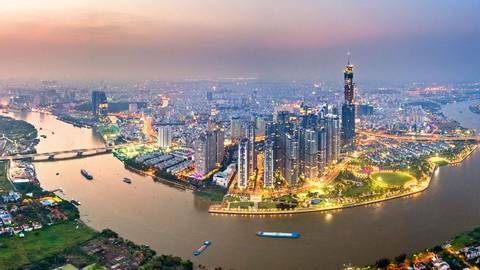 Here you’ll have three nights to explore the city which is made all the easier with the tours we’ve included as part of your package. 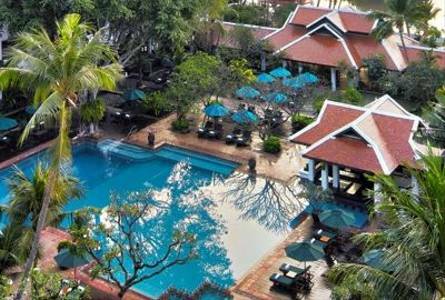 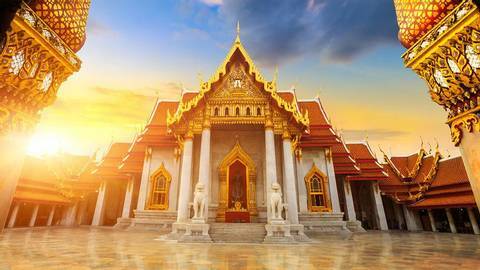 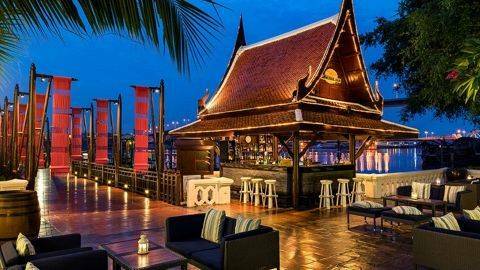 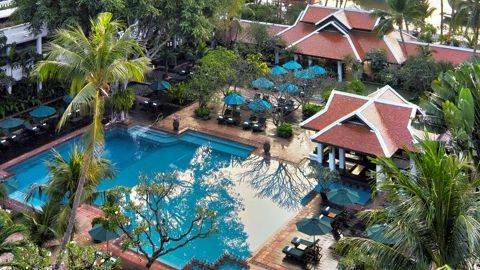 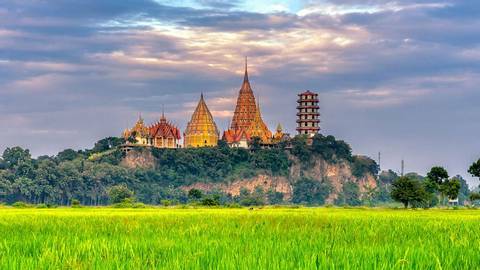 Leaving Bangkok behind you’ll travel to Cambodia for the next part of your incredible holiday. 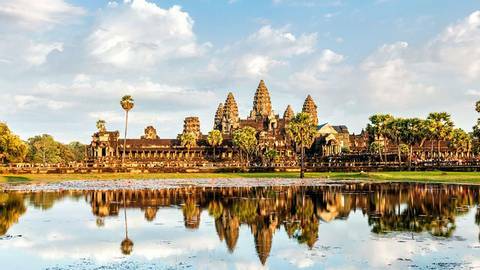 Beginning in Siem Reap, you’ll the visit the spectacular archaeological site of Angkor, including the iconic Angkor Wat temple with its corncob towers. 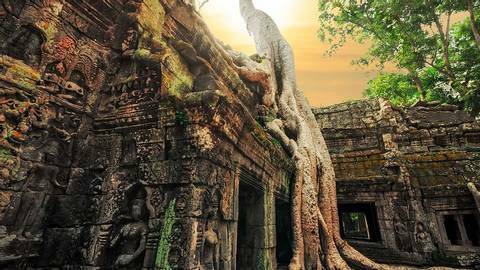 You’ll also visit the Bayon Temple, decorated with hundreds of stone faces; and Ta Prohm, a temple enveloped by the jungle. 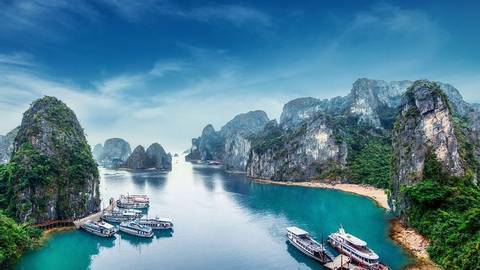 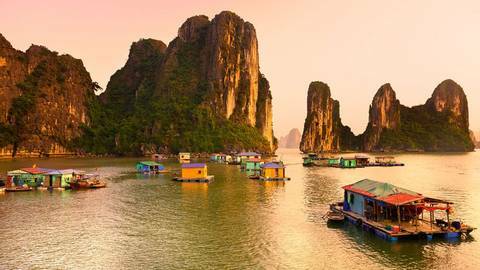 Next you’ll explore Vietnam’s compact capital Hanoi, from where you’ll enjoy a voyage on a luxurious Junk Boat as you cruise the emerald waters of Halong Bay – watching the sunk skin below the swooping jungle-topped limestone arches is an unforgettable experience. 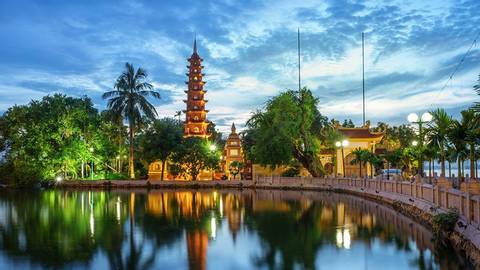 You’ll then travel to Ho Chi Minh City to visit the famed Cu Chi tunnels which offer a glimpse into the city’s historic past. 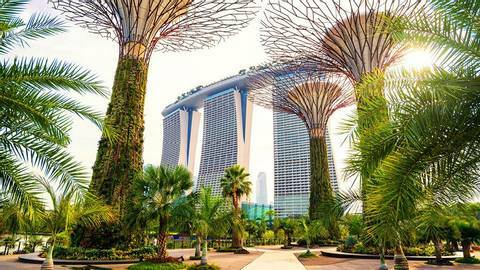 A clash of bewildering contrasts that meld into an effortless harmony, here the most modern of skyscrapers cast shadows across treetop jungle walkways and lush green spaces; the designer stores that line Orchard Road are just a stone’s throw from the humbling streets of Little India; and hawker stalls with plastic chairs serving Chinese dumplings sit close to restaurants at the forefront of gastronomic innovation. 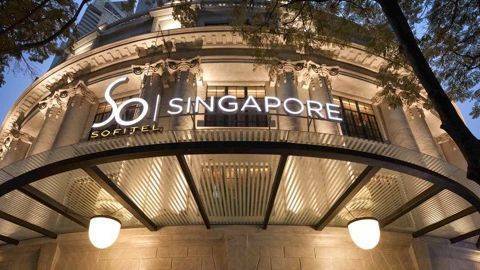 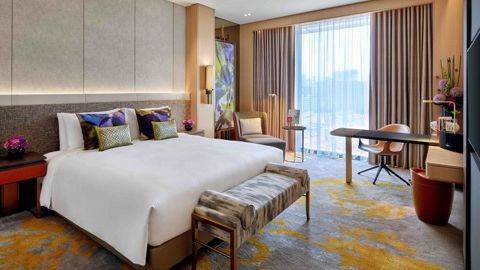 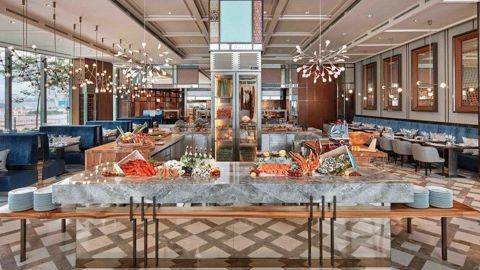 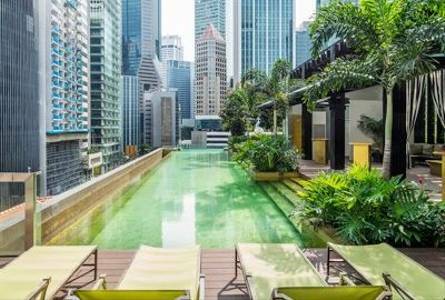 Staying at the luxury Sofitel Singapore, you’ll be conveniently located in the city-state’s Central Business District and can enjoy the hotels’ fantastic facilities including a gorgeous rooftop pool and gastronomic restaurant. 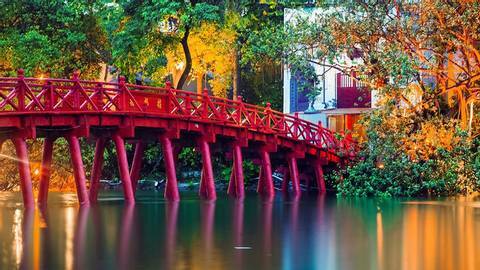 Today you’ll get a real feel for this remarkable destination during a city tour. 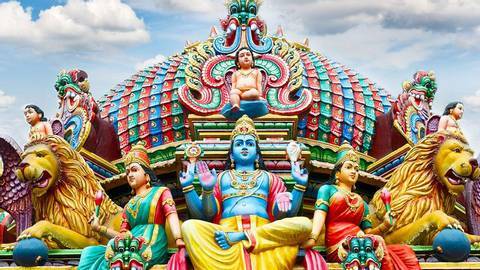 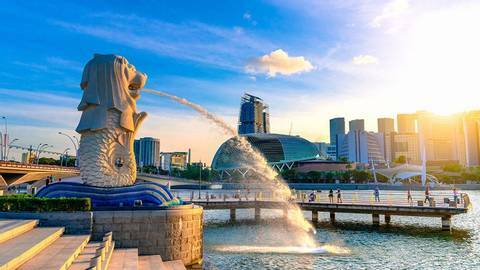 Beginning with a leisurely bumboat ride along the Singapore River, you’ll sail to Merlion Park where you’ll see the famed statue of Singapore’s mythical creature mascot. 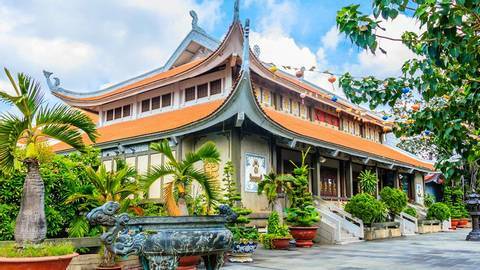 Next you’ll take a drive around the Civic District; past the Padang, Cricket Club, Parliament House and City Hall before stopping at the Thian Hock Keng Temple, one of the most important Hokkien temples in Singapore. 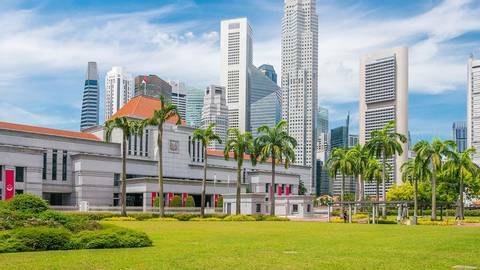 Your last stop is the Singapore Botanic Gardens where you’ll peruse the National Orchid Garden, home to a colourful display of beautiful orchid plants, before enjoying lunch at a local restaurant with the chance to sample an iconic Singapore Sling. 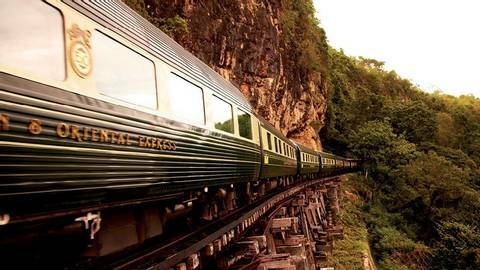 Today you’ll embark the Eastern and Oriental Express in Singapore. 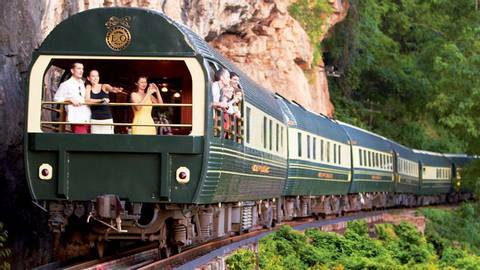 An elegant and iconic way to travel, enjoy passing the varied scenery of this vast and diverse region, from glittering cities to rural villages and swathes of untouched countryside, while experiencing the elegant dining and exciting entertainment on board. 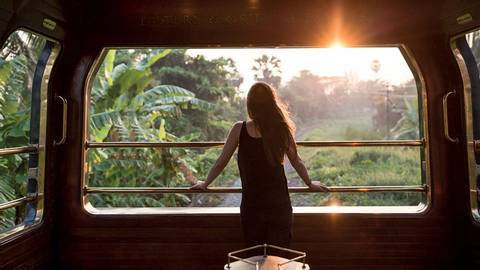 After breakfast you’ll arrive in Kuala Kangsar. 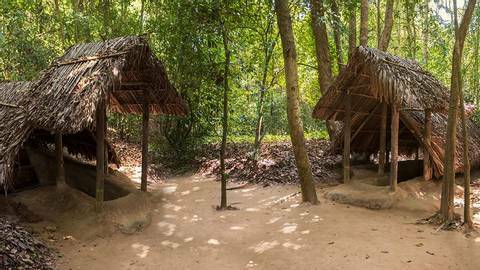 Here you’ll travel by coach to Labu Kabong to discover rural Malaysian life and enjoy a guided tour through lush rice paddies with refreshments and a chance to sample some local produce. 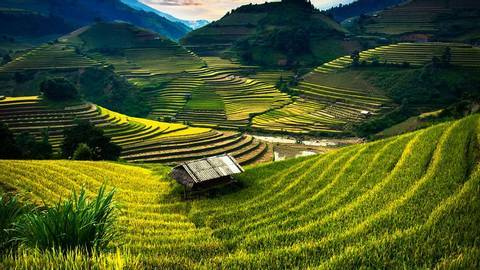 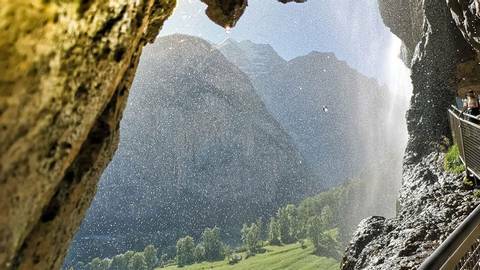 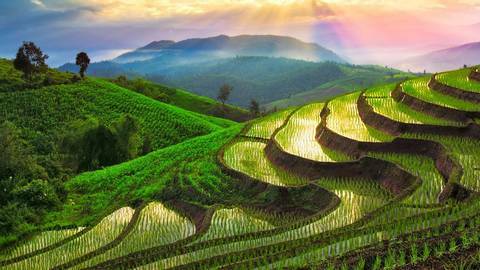 Alternatively, advanced trekkers can join an invigorating hill-trek. 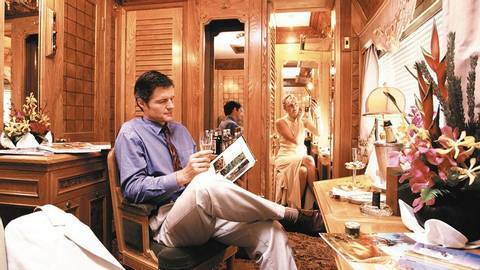 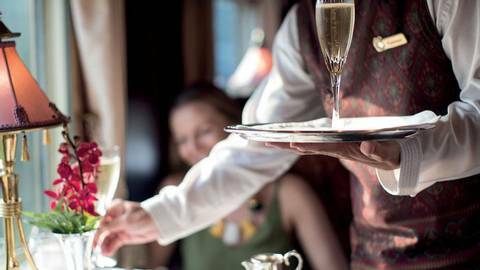 Re-join the train and enjoy a refreshing cocktail before a relaxing afternoon as you travel onwards to Thailand. 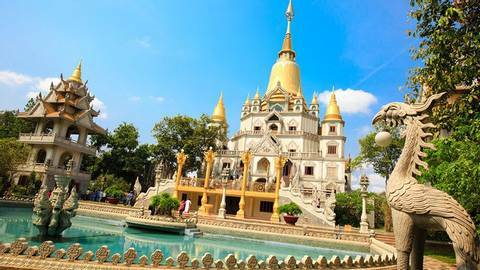 Arriving in Kanchanaburi, you’ll alight for your choice of three enlightening tours. 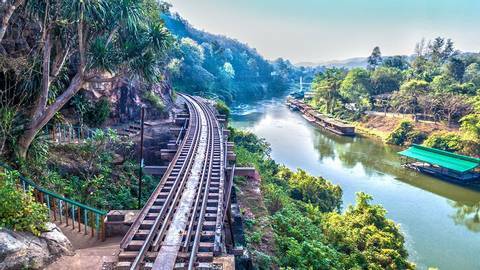 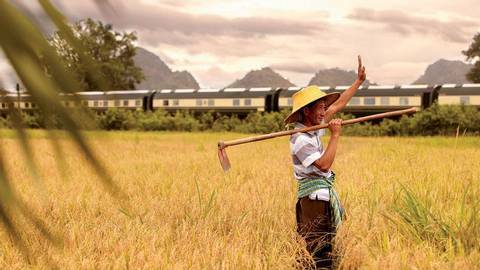 Choose between a guided visit to the River Kwai Bridge and Thai Burma Railway Museum; discover unseen Thailand as you cycle through rice paddies or explore a wet market and enjoy a cooking class where you can delve into the taste of Thailand. 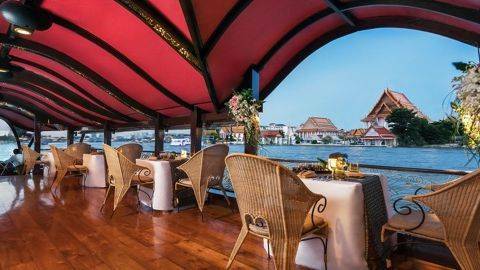 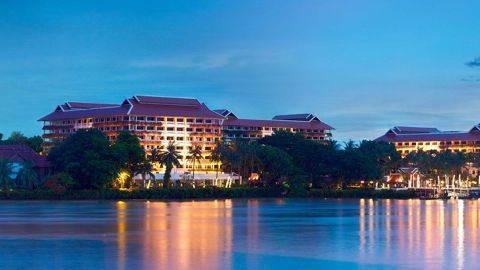 Return to the train for lunch before disembarking in Bangkok that afternoon, where a transfer will take you to your hotel, the luxury Anantara Riverside where you’ll enjoy a three night stay. 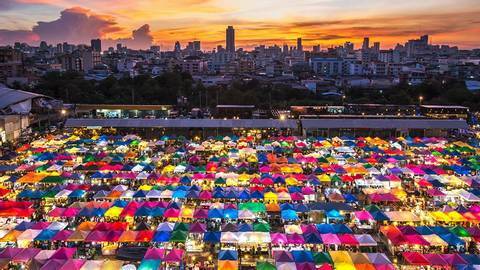 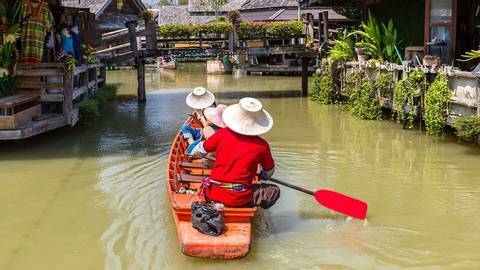 Today you’ll enjoy a Damnoen Saduak Floating Market Tour, one of the most famous floating markets in Thailand. 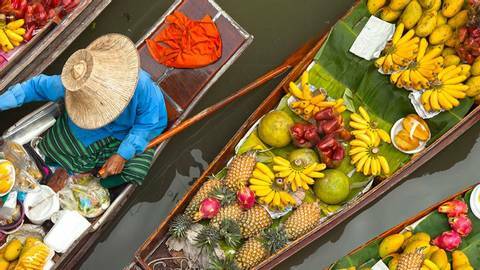 See the merchants paddle along the canals in canoes overfilling with colourful fresh fruit and vegetables to sell to shoppers along the canal bank. 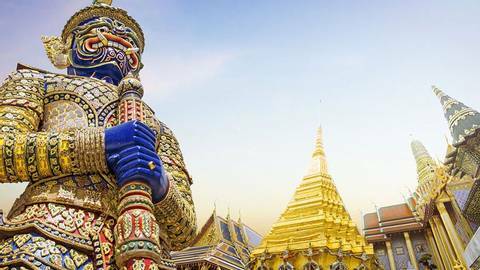 You’ll then continue on to Phra Pathom Chedi in Nakorn Pathom where the golden-tiled dome of the Chedi towers almost 116-metres into the air. 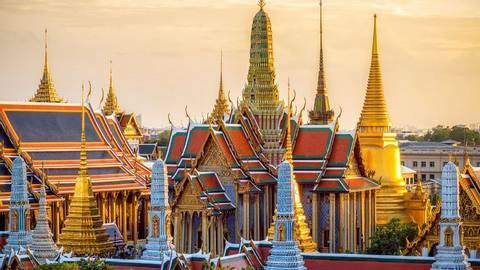 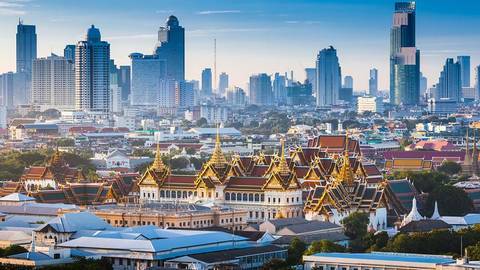 A complex of buildings at the heart of the city, the Grand Palace is an example of both grandeur and majesty. 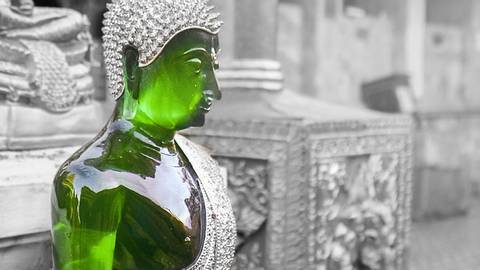 See and marvel at the mysterious Emerald Buddha, the most revered Buddah image in Thailand, before continuing on to Wat Po. 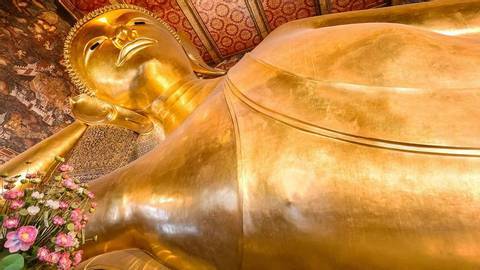 Home to a huge reclining Buddha, the temple garden contains a Bodhi tree grown from a cutting of an original tree in India under which the Lord Buddha sat while awaiting enlightenment. 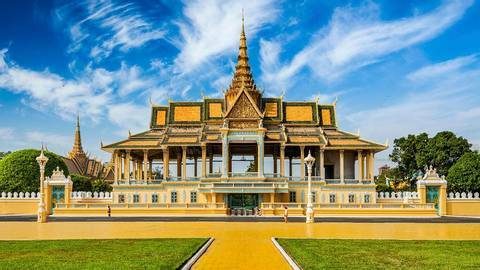 After arriving in Siem Reap, you’ll enjoy a lunch at a Khmer restaurant and an afternoon city tour where you’ll walk through the Royal Independence Gardens and receive a monk’s blessing at Preah Ang Chorm Pagoda. 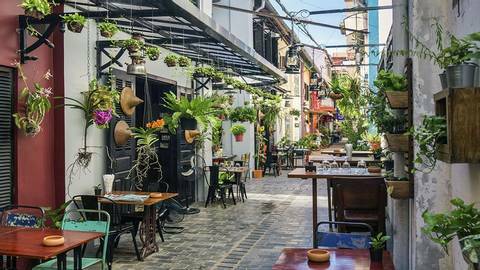 You’ll also visit the Old French Quarter with its colonial buildings, stopping off for a drink at the famous Foreign Correspondence Club and the Old Market with its labyrinth of market stalls. 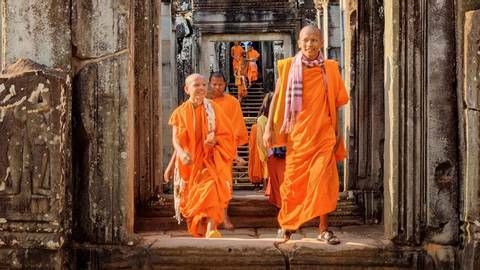 This morning you’ll set off early to see the sunrise at Angkor Wat, one of the greatest ancient sites in the world. 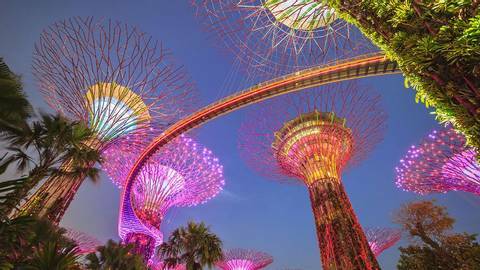 Watch the sky change from purple to pink then yellow as the sun emerges behind the conical towers with their intricate design. 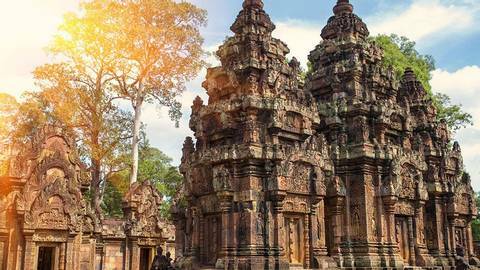 You’ll also visit the fortified city of Angkor Thom and the Bayon Temple, richly decorated with hundreds of stone faces; and atmospheric Ta Prohm, a temple enveloped by the jungle amidst a tangle of roots and huge trees. 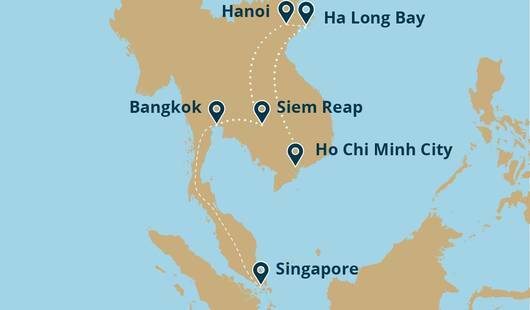 Today you’ll fly from Siem Reap to Hanoi. 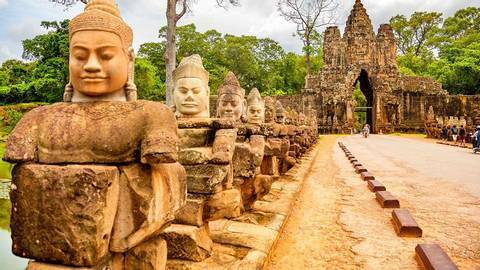 This charming city is one of the most ancient capitals in the world. 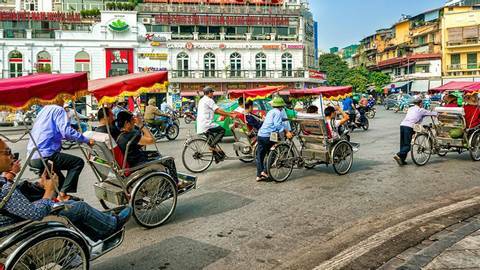 The old quarter still bustles with life while well-preserved colonial buildings and ancient pagodas sit alongside modern city centre developments. 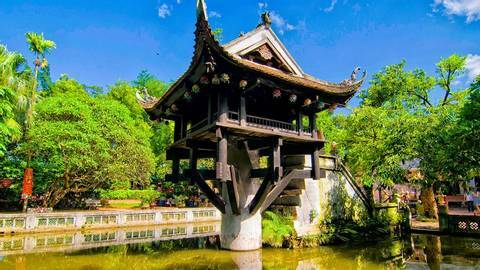 Today you’ll explore Hanoi, beginning with the Ho Chi Minh Mausoleum and Ho Chi Minh Museum. 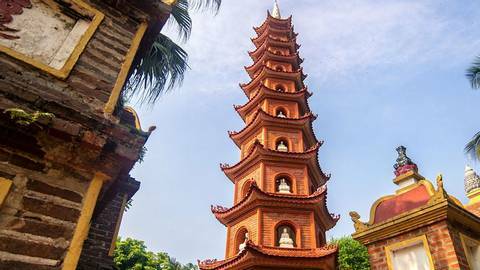 Dedicated to the 'father of the country’, the museum chronicles the evolution of Vietnamese independence. 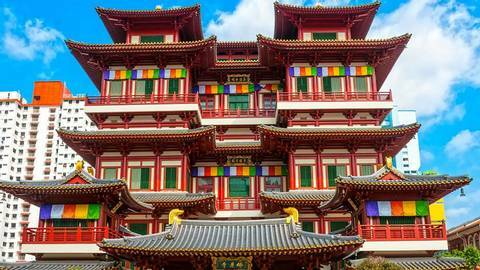 Other highlights include the One Pillar Pagoda and a traditional water puppetry performance. 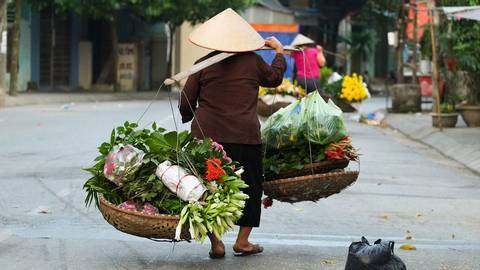 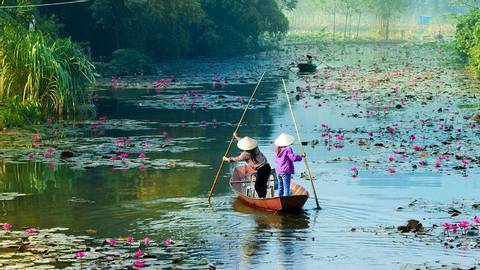 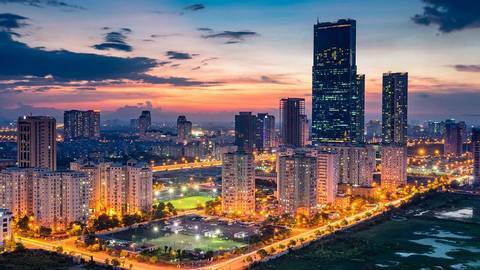 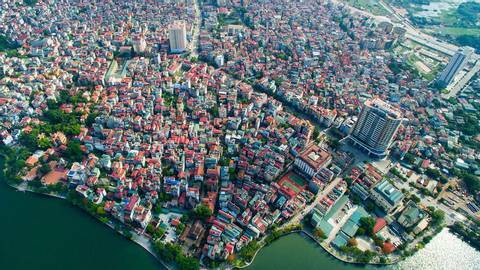 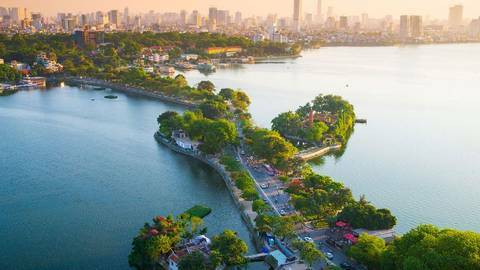 Enjoy a day at leisure to further explore Hanoi. 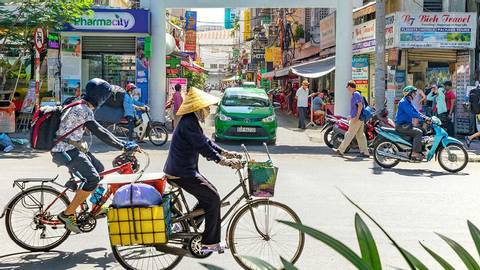 The coffee culture here is thriving after it was introduced by the French in the 19th century. 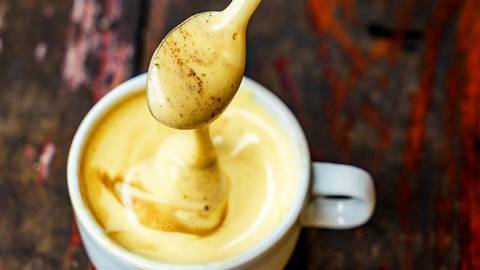 Try ca phe trung, a delicious coffee mousse for a sweet treat and don’t miss the opportunity to sample the street food that Vietnam is famed for. 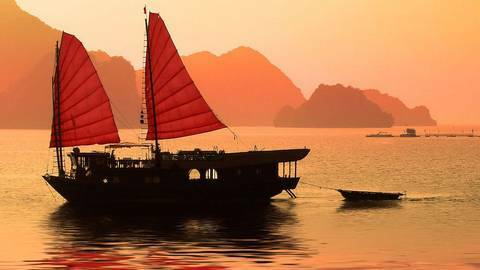 Travel from Hanoi to Halong Bay where you’ll board a traditional junk boat for an overnight cruise including lunch, dinner and breakfast. 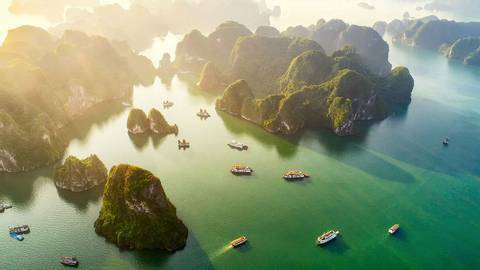 Sweep amidst the emerald waters, past grottoes, hidden pools and mystical islands as you watch the sun sink behind the swooping jungle-topped limestone arches. 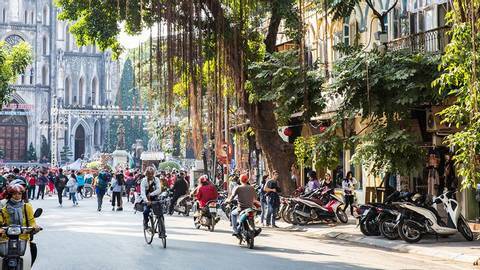 Today you’ll travel into Vietnam’s countryside to visit the Cu Chi Tunnels, a complex, underground network of tunnels that offer a historic glimpse into the city’s past. 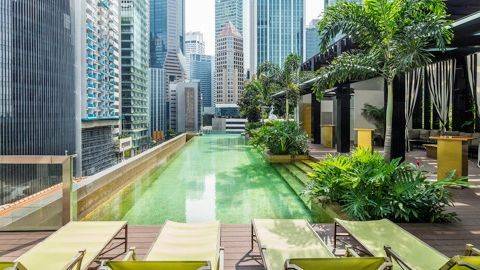 See secret trapdoors, underground kitchens, living areas and meeting rooms. 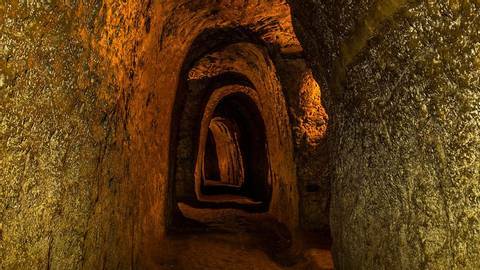 The more adventurous may explore the deeper second, and even third level tunnels. 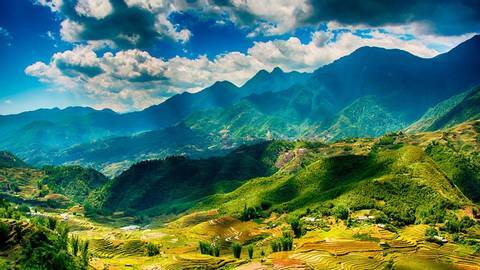 Today you will fly home.